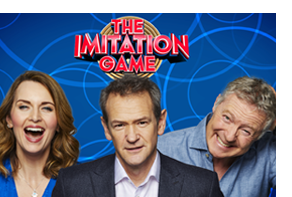 Co-produced with Big Talk, The Imitation Game is a comedy panel show made for ITV. The show could be described as a version of ‘I’m Sorry I Haven’t A Clue’ for impressionists – and was inspired by appearances on ISIHAC by the likes of Rory Bremner and Jan Ravens. The show is hosted by the brilliant Alexander Armstrong, with Rory Bremner and Debra Stephenson as team captains and features guest impressionists Alistair McGowan, Ronni Ancona, Jan Ravens and many more. 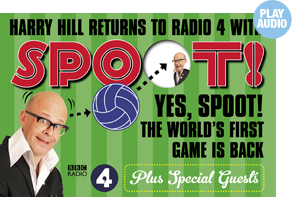 Harry Hill rediscovers Britain’s oldest sport, Spoot! Like all proper sports, it involves getting a ball through a hole – in this case in accordance with the rules found in the 4,000 page Book of Spoot. Exciting commentary and detailed analysis is provided by a selection of expert pundits. Listeners will soon pick up the simple complexity of the game’s rules, and cheer on their favourites as they appear to be about to score a point. 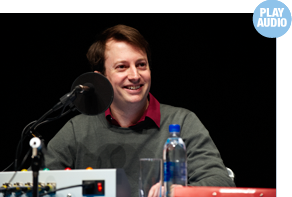 The hit Radio 4 comedy panel show dedicated to incredible truth and barely credible lies, hosted by David Mitchell and featuring a series of top flight guest comedians. The rules are as follows: each of the four panelists present a short lecture that should be entirely false, save for five pieces of true information which they should attempt to smuggle past their opponents, cunningly concealed amongst the lies. Points are scored by truths that go unnoticed, while other panellists can win points if they spot a truth, or lose points if they mistake a lie for a truth. David Quantick’s critically acclaimed sketch show where no sketch features more than one voice. Internal monologues, speeches, video diaries, messages, broadcasts, dictation – any form of solitary communication or monologue, but one voice only per sketch. 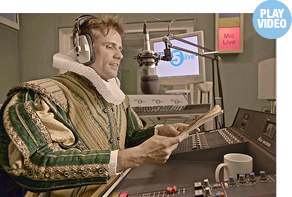 Written by David Quantick and featuring Dan Antopolski, Dan Maier, Graeme Garden, Deborah Norton, Lizzie Roper, Katie Davies, Johnny Daukes, Andrew Crawford and celebrity guests including Jeremy Clarkson, Bill Oddie, Alastair McGowan and Richard Bacon. 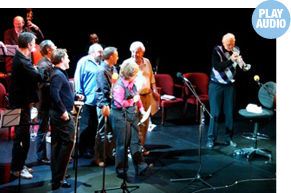 The team behind the radio show take I’m Sorry I Haven’t A Clue on a ‘best of’ theatre tour around the country, featuring Jack Dee, Barry Cryer, Graeme Garden, Tim Brooke-Taylor and Jeremy Hardy, accompanied by Colin Sell. 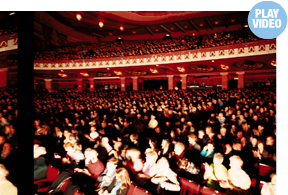 The sell out show features favourite rounds including Mornington Crescent and One Song to the Tune of Another. A good time is had by all, and everyone gets a kazoo. A BBC Radio 4 special where the team from I’m Sorry I Haven’t A Clue present their own unique take on Lewis Carroll’s most famous work, casting their reluctant chairman Humphrey Lyttelton in the title role. Also starring Tony Hawks as the Narrator, Sandi Toksvig as the Queen of Hearts, Tim Brooke-Taylor as the Duchess, Graeme Garden as the Cook and Barry Cryer as Humpty Dumpty, Andy Hamilton as the Caterpillar, Rob Brydon as the Mad Hatter, Jeremy Hardy as the March Hare, Jack Dee as the Cheshire Cat and Colin Sell as the White Rabbit. Among the fun and games are: Mornington Crescent, Swanee Kazoo, Cheddar Gorge, new definitions for the Uxbridge English Dictionary, as well as Recipes for Nigella Lawson’s “Saucy Mouthfuls” (she makes a great sticky tart). I’m Sorry I Haven’t a Clue, finally uncovers the myth and mystery of the ever-popular game. The almost unbelievable story of this illustrious game is told via interviews with historians, scholars and members of the public, with contributions from Dame Judi Dench, Sir Michael Gambon, Antony Worrall Thompson, Adam Hart-Davis and Barry Davies. 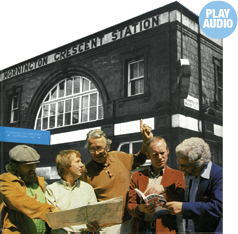 It is a fascinating documentary, both for Mornington Crescent novices as well as more seasoned players of the game.